The Welsh artist Cheryl Danton Perkins, skillfully combines colour and texture to evoke light, atmosphere and mood in her paintings. While still in her youth, her talents were recognised and her work was exhibited at a national level. She was commissioned to create sketches and paintings of Wales for local agents. Confidently working in many media her collectors appreciate her diversity while recognising her talent, technique and style. She aspired to develop and use her artistic flair both in her career as a teacher and as an artist. 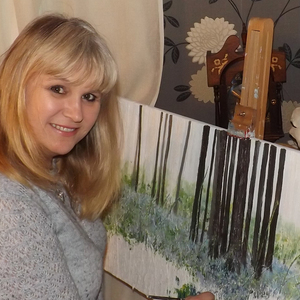 Combining her skill, talent and style she creates beautiful compositions many of which are inspired by the outstanding natural beauty of South Wales. Danton will be exhibiting some of her work in the Winter Collection 2014 at Ceri Richards Art Gallery.